I agree that the autocorrect function needs rework, but really so does the entire keyboard design. 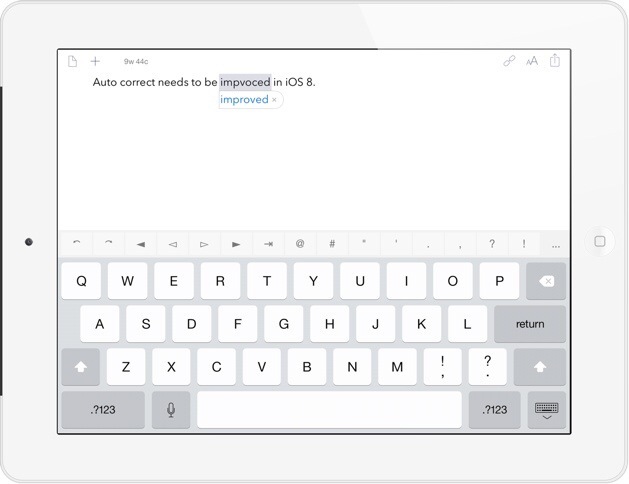 Some writing apps have their own, far better ones as an example. The process for entering numbers and some of the common special characters is cumbersome. Also there should be keyboard support for text selection and for setting font properties. I believe that the needs of small screen ios devices may have played some role in the design of the iPad keyboard and if so that was a mistake. Finally, given the major role of the keyboard in iPad functionality, there should be a much larger repertoire of customization options to fit the wide spectrum of user predilections and usages.